It was a busy weekend for members of St Austell Running Club, as they raced and trained over different distances. Kicking things off on Saturday was the Exmoor Ultra Marathon and the club had five competitors, Alan Giles, ladies captain Jodie Jarvis, John Wisner, Paul Stevens and new club member Tony Bloom. 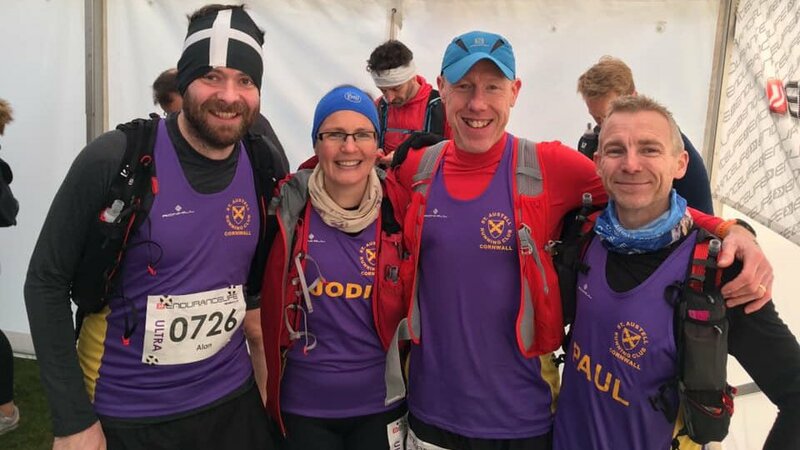 Alan Giles, Jodie Jarvis, John Wisner and Paul Stevens before Exmoor Ultra. 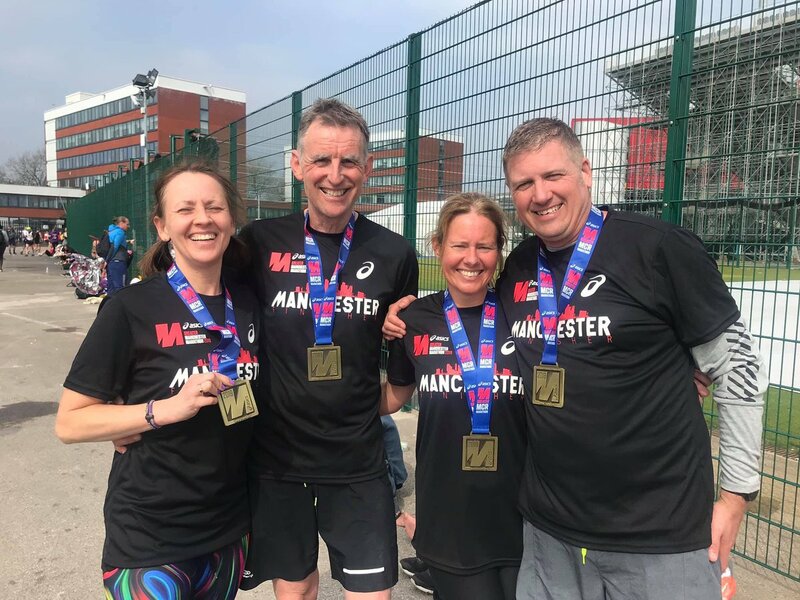 Sunday saw eight members of St Austell Running Club take part in the popular Manchester Marathon. Mark Sweeney led the way in three hours, 23 minutes and 26 seconds, closely followed by Alan Wherry, 3.36.50. Husbands and wives also took part with Karl (4.19.27) and Danny Walker (4.39.09) and Martin (4.16.55) and Charlie Trethewey (4.36.27), Clive (4.05.39) and Debbie Gibbs (4.48.13) also completing the 26-mile course. Sunday also saw the Taunton Marathon and Half Marathon. New men’s vice-captain Ross Lawry’s hours of training was put to good use as he dipped under the four-mark for the first time, completing his first sub-four marathon in 3.59.14. Matthew Henderson also aced the sub-four in 3.5446. Also taking part in the marathon were Debbie Marshall (4.23.19), Sarah Bazeley (4.37.04), while James Cutlan finished 11th recording a new PB in 1.16.48, Georgina Speake (1.57.50) and Becky James (2.05.59) completed Taunton Half Marathon. There was also a fourth-placed finish for Jacob Howard-Endean in the Enys 10k in 39 minutes, 36 seconds.